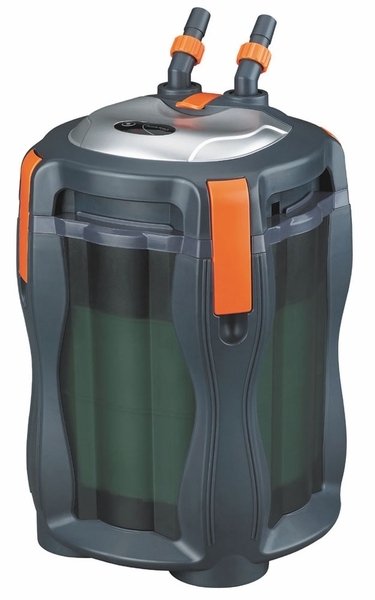 Aquatop’s top-of-the-line aquarium canister filters, the AF-Series, deliver crystal clear aquarium water with just a touch of a button! These multistage filtration systems include automatic priming so your canister filter begins cycling with no manual siphoning or pumping required. In addition to biological, mechanical and chemical filtration, all models in the series include powerful UV bulbs for added protection against harmful bacteria and unsightly algae. 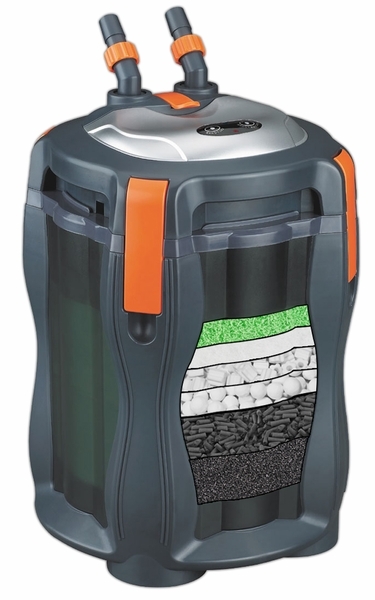 The effort invested in the design of the AF Series is what separates these canister filters from ordinary filters. Attention to detail includes features such as heavy-duty ball joint output fittings for accurate water direction and quick disconnection for input and output valves. All AF filters run extremely quiet and the solid casing and quality parts assure you’ll have this filter for years to come. All models in the AF Series vastly improve the clarity of both fresh and saltwater systems. In addition to multiple media compartments, the AF Series includes UV clarification on all models. The UV bulb gives even heavily stocked systems protection against harmful bacteria and unsightly algae so you’ll enjoy a clear tank every single day of the week. Like our CF Series canister filters, with the AF Series, you spend less time cleaning and more time enjoying your fresh or saltwater system. I have never been so impressed by a filter. I have had multiple canister filters through my years of fish keeping and nothing comes close to this! On a whim I decided to try out this new canister with the autopriming feature and it does just that, automatically primes. It literally primed itself FROM DRY and went into to normal operation which is pin drop silent. My sisters laptop, a newer HP, is louder then the filter. I have this little water weapon of joy on an 24-gallon Aquatop High Clarity tank and with our local tap water the phosphate pad is so helpful. I literally have no hair algae after years of battling with that menacing string of life.